Demographic projections for Lithuania and Latvia show that an aging society in both countries will soon lead to a rapid increase in demand for health care services. In order to reduce the social exclusion of elderly people and to encourage them into active participation in society there is a need to improve their physical activity. During this project new elderly care electronic services will be introduced in social care homes in Lithuania and Latvia and accessibility of social services to the public will be improved. The project aims to develop elderly care services by strengthening disease prevention measures and the creation of new publicly available services for people with special needs. Social care and information and communication technology specialists from Lithuania and Latvia in this project will create a real-time human physiological parameters monitoring service that will allow professionals to identify and assess health problems, to create individual physical activity programs in order to improve their quality of life, prolong their independence and increase their integration into society. Joint Competence Center for smart elderly care social services development will be established, bringing together Latvian and Lithuanian social care, science and education community members enabling to exchange existing knowledge. According to World Health Organization (WHO) there is strong scientific evidence that regular physical activity produces major and extensive health benefits in adults aged 65 and above. To encourage elderly people to engage in active physical activity is not so easy. Solution would be to develop individual physical activity, physiological state monitoring smart system, including motion sensing devices, heart rate monitors etc. Physiological signal monitoring of individual elderly people would enable specialists to identify and assess wide range of health problems, and create individual physical activity, relaxation therapy, or treatment programs in order to improve quality and prolong life of elderly people and enhance their integration into society. 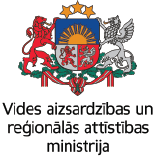 Municipal authority "Ventspils Digital centre"